Hello everyone! 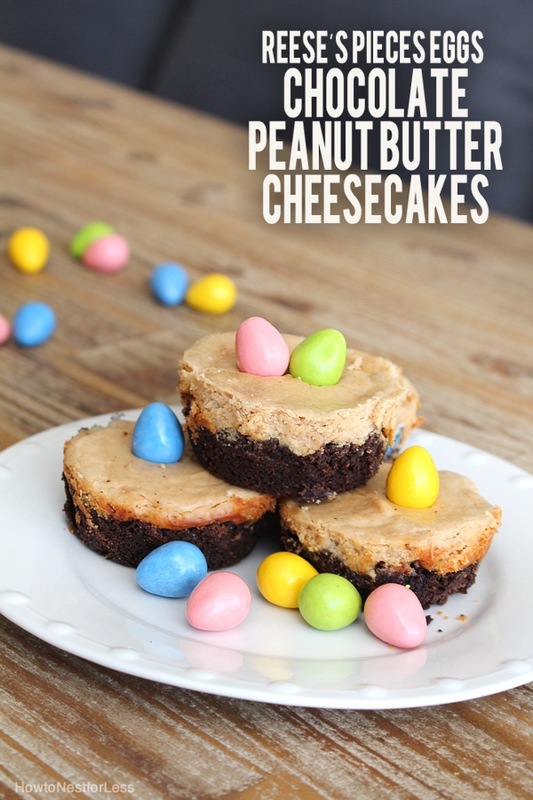 I have a yummy sweet treat to share with you guys today, something that I’m sure you’ll want to make this Easter season! Reese’s Pieces Peanut Butter Mini Cheesecakes. 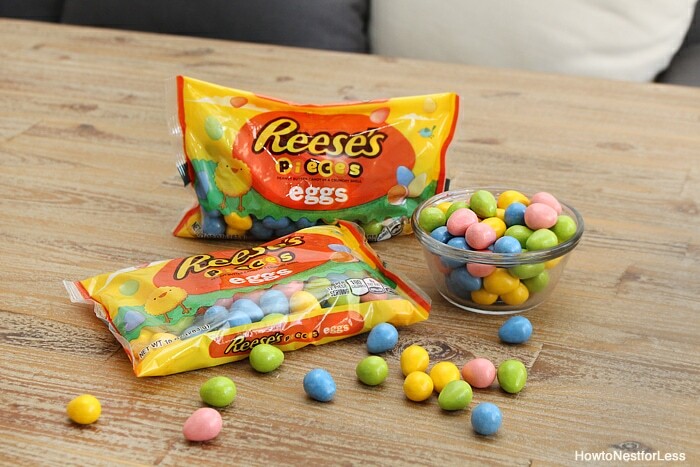 For the Reese’s Pieces Peanut Butter Eggs you’ll need to crush about 1 cup for the recipe and set some whole eggs aside for the garnish. I know you’ll want to eat the whole bag at once but try to restrain yourself. 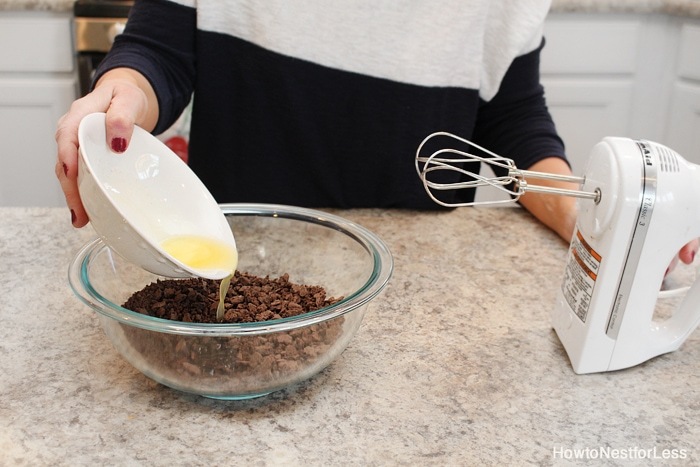 In a large bowl crush the chocolate graham crackers. Then pour the melted butter evenly over the graham crackers. 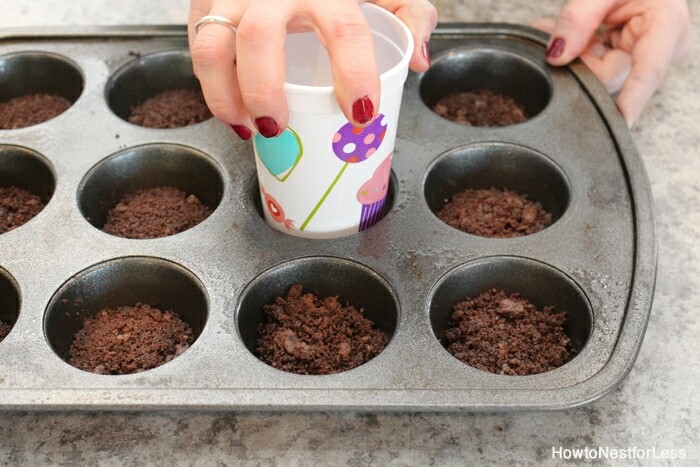 Mix well until crumbles are slightly moist. 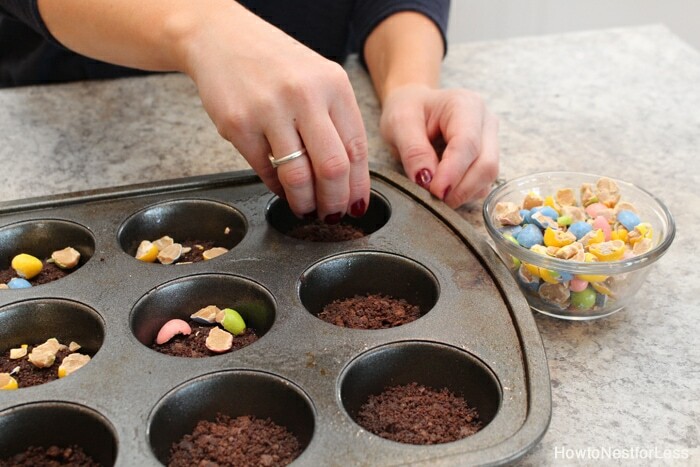 Grease the bottom of a muffin pan or use cupcake liners for an easy clean up. 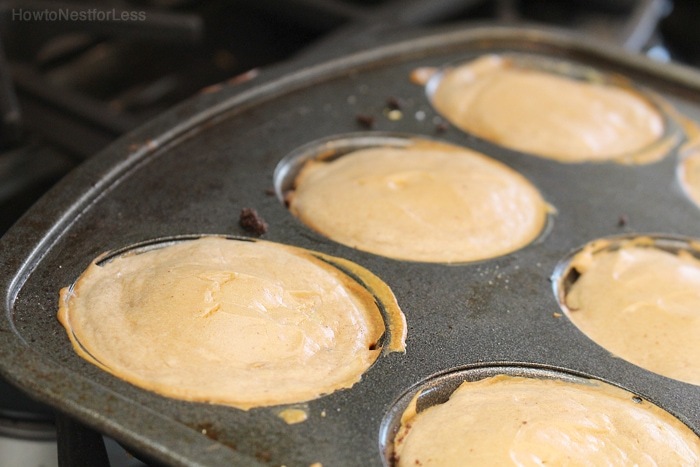 Add a spoonful of graham cracker crumbles into the muffin pan. Press crumbles down firmly (I used the bottom of a kids cup). 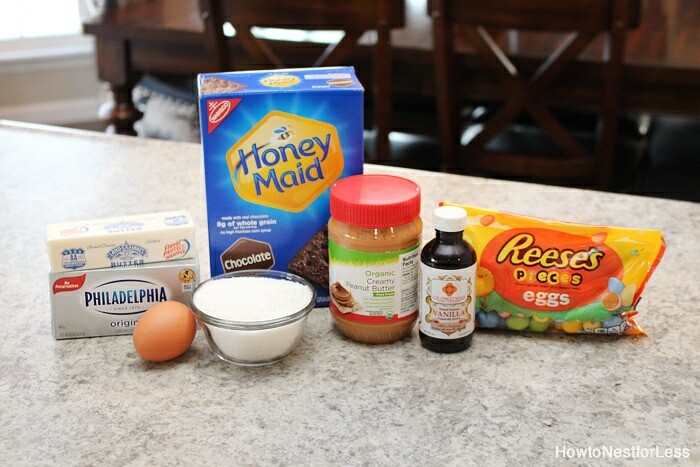 Next add a handful of the crushed Reese’s Pieces Peanut Butter Eggs. In a medium bowl mix cream cheese, sugar, and creamy peanut butter. Beat for 2 minutes. Add vanilla and egg. Beat again for 1 minute or until fully mixed. 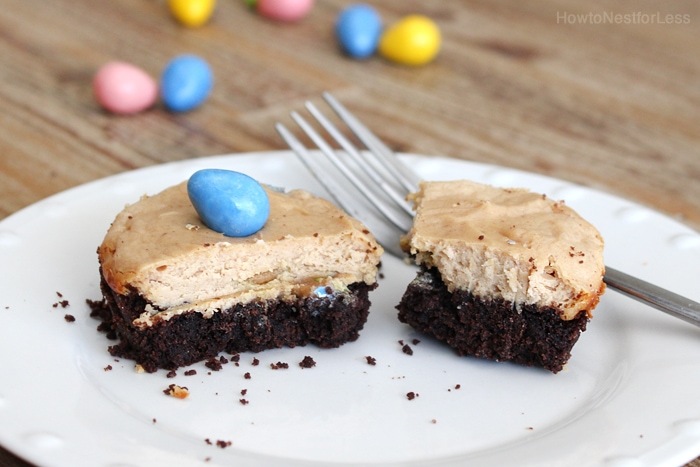 Add a spoonful of peanut butter batter on top of the Reese’s Pieces Peanut Butter Eggs layer. 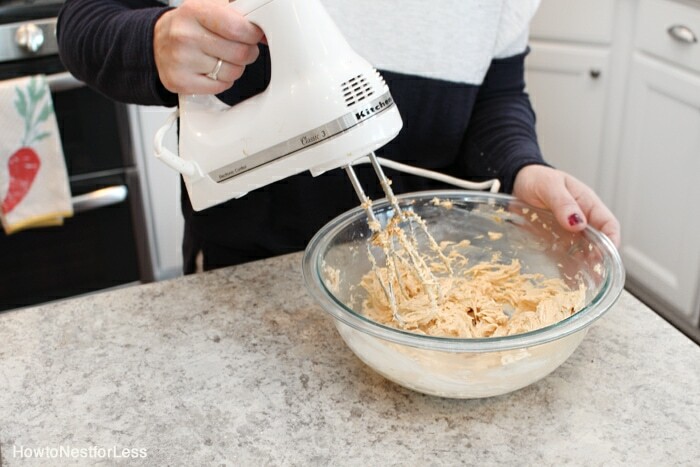 Use a small spatula or icing knife to smooth out the peanut butter mixture (trust me, it will cook exactly as it looks before you put it in the oven so smooth it out!). Bake at 325 degrees for 18 minutes or until set. Let cool. 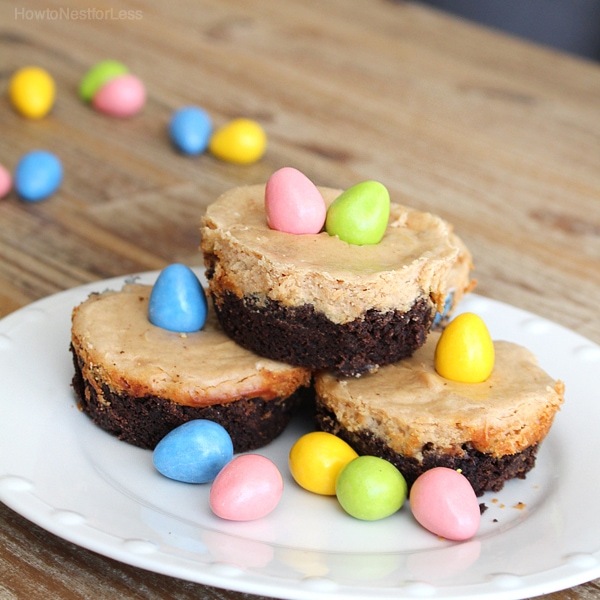 Garnish with some additional Reese’s Pieces Peanut Butter Eggs and you’re ready to serve! 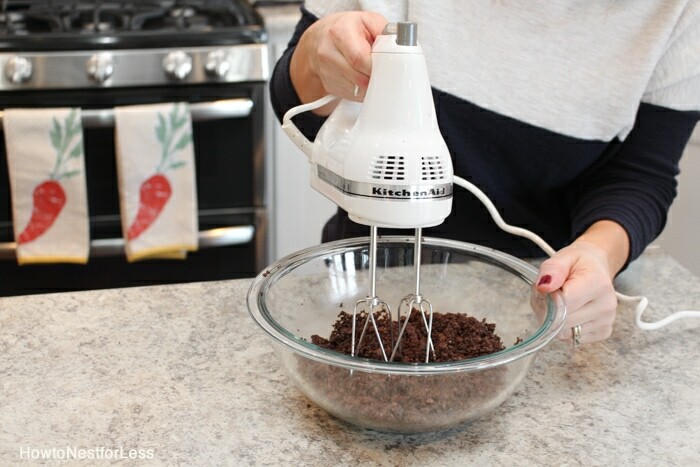 You will LOVE the yummy peanut butter taste and the crumbly cookie crust. It almost tastes like a cheesecake, brownie and peanut butter cookie all in one. SO GOOD! Hershey’s Easter offerings are now available at retailers nationwide. You can definitely fill this year’s Easter basket with sweet treats the whole family will enjoy! Also check out www.CelebrateWithHersheys.com to read more Easter crafts and treats or follow #HersheysEaster on Instagram or Twitter for for more products and recipes! Hi! Stopping by from the creative exchange link up. These sound wonderful! I am pinning so I can make these later! I barely read the title of your recipe and I was already wishing I had a plate of these in front of me! Yum!! I definitely need to make these! Thanks for linking up with Merry Monday this week.